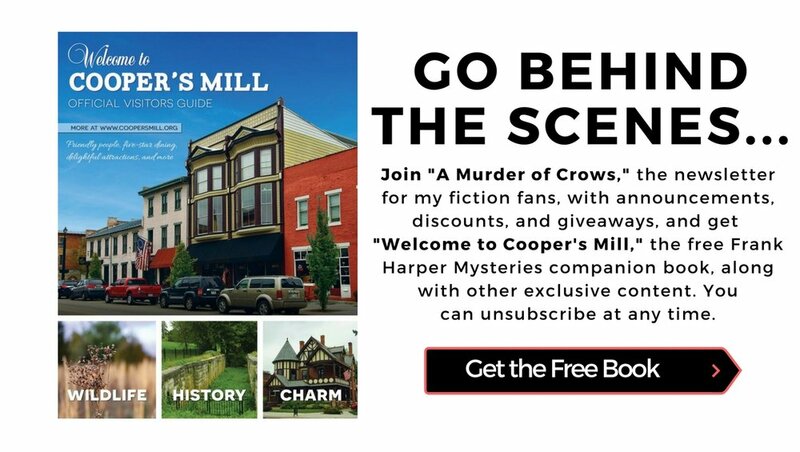 Description: "Ex-cop Frank Harper is visiting the small Ohio town of Cooper’s Mill, trying to reconnect with his estranged daughter and a grandson he’s never met. But he finds the town gripped in fear—two young girls have gone missing, taken in broad daylight from a busy street. And the police are coming up blank. But once Harper is drawn reluctantly into the investigation, he’ll stop at nothing to find the girls. And he doesn’t care who gets in the way." Details: Fiction, published by Gypsy Publications, July 2013. Paperback: 296 pages, ISBN 9781938768231, $14.99. Kindle version: ASIN B004JN0GBW. Other Links: Gypsy Publications, Barnes and Noble, Shelfari. "A Field of Red" is available as an audiobook from Audible! If you're interested, check out the first eighteen minutes FREE on SoundCloud. They've got a great web player that lets you sample "A Field of Red" for free. Discussion Questions for "A Field of Red"
Is your book club or group reading "A Field of Red?" If so, I've prepared some discussion questions that you may find helpful. Click on the link to download a copy. And thank you! 4.3 out of 5 stars 1,690 reviews (as of 2/17/19). Awarded as the Novel of the Year for 2013 by Gypsy Publications. Gypsy Publications chooses one fiction novel each calendar year for its Novel of the Year award. "A Field of Red is a gripping tale, well-told through suspense, mystery and believable characters in an Ohio town. The story touches the unspoken fears of all parents who love their precious children." — Amazon.com reviewer Nora G.